Wife and I went for our almost-annual pilgrimage (hee!) holiday to Tokyo. As usual, we took the chance to stock up on toys! 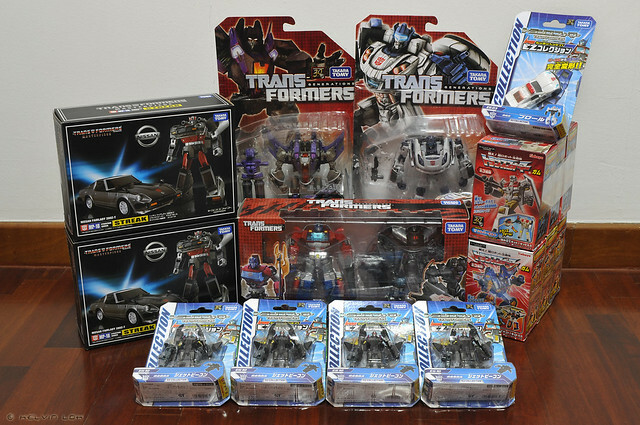 To start off, my Transformers loot! And here's my total loot! I bought more non-TF stuff than TF this time. 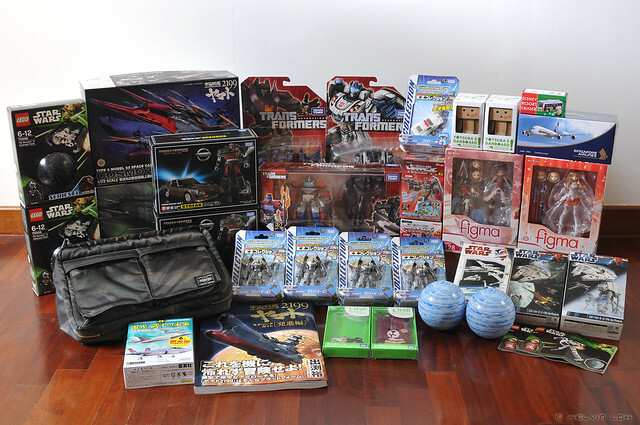 And finally, photo of combined loot with my wife! Scary, isn't it? We had 3 check-in luggages, 2 hand-carry and also carried 2 paper bags on our return flight. I am mostly stocking up on Anime for my holidays. I did get some figures in and on pre-order from the AGP series (both Gundam and Infinite Stratos).